Article reveals latest trends in online video and how it affects mobile marketing. MediaJobs.com provides Strategic Insight for Job Seekers. According to statistics from Borrell Associates*, online video production will account for more than one-third of all online advertising spending within the next five years. The shift is happening now when it comes to consumer viewing habits of online video. MediaJobs.com discusses the explosion of online video in the article Is Internet Advertising Switching to Online Video. The article reveals statistics on what is becoming the fastest expanding form of internet advertising, even over display and search ads. The shift is having an effect on mobile marketing jobs. The article discusses what is behind the shift and cites a statement from Nikesh Arora, Google’s Chief Business, which states that YouTube’s top 100 advertisers increased their video ad spending by 50% in 2012. The article also quotes several other tech executives who weigh in on online video advertising and the future - including a surprising statement from an analyst with RBC Capital Markets about the future of television ad budgets. The budget shift is bringing about major change not only to online advertising itself but to the job marketing for mobile marketing jobs. The increase in ad spending will bring about an increase in the need for qualified and experienced mobile marketers. The article goes further to compare the differences in television and online advertising budgets and how consumer viewing habits are forcing a shift away from television as entertainment. Another article that examines future of mobile marketing jobs is Adfonic CEO Explains Why Mobile Advertising Must Have Specialists In the article, experts discuss why the future of mobile advertising is with specialization. Experts agree that ad agencies need to understand the vast differences in reaching the mobile user audience and the desktop user audience. Online advertisers will need to learn and understand how mobile marketing works. The article goes in-depth to discuss how agencies are gauging audience behavior to come up with strategies for mobile advertising. Mobile advertising continues to become more specialized and mainstream and those seeking mobile marketing jobs need to be up-to-date on these trends. MediaJobs.com presents news coupled with insights such as these to arm strategic job seekers with the knowledge and skills that they need to succeed. 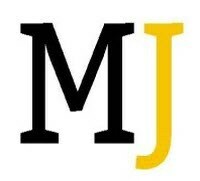 MediaJobs.com is a digital news platform that combines the power of news articles with listings for media jobs To bring rich context and strategic insight to jobseekers in the media landscape. MediaJobs.com provides source insider information from the hottest media companies, top players and products worldwide.